How to export text messages from iPhone free to PC/Mac without iTunes no jailbreak? How to export text messages from iPhone to PDF, word, excel, html, and other formats? The below step-by-step guide will walk you through. How to Save iPhone Text Messages to PC/Mac Free? 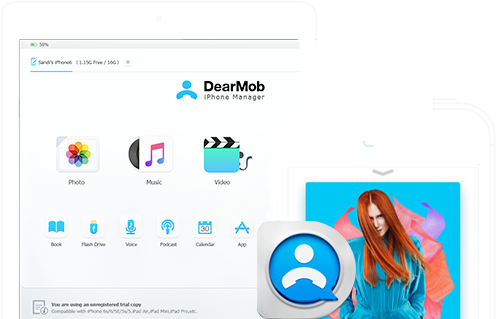 Although the full version of DearMob iPhone Manager will not be free-of-charge, its free trial version offers sufficient amount of text messages backup chances everyday. You can 100% surely free download messages from iPhone to pc/mac within those limited trial times which will also keep reloading each day. Step 2: Click "Export" button to download text messages from iPhone free to computer. 1. The "Export" button will export text messages from iPhone to PDF format only, including all pictures and videos. 2. To selectively save text messages to computer to target file formats, like to excel, txt, csv, word or html, you can copy and paste the specific text. 3. SMS videos can also be downloaded and saved to computer by clicking "save button" on the video. You can also click to play the SMS vid directly for preview. With exported PDF/Word/Excel text messages from iphone, you can now save it to email, iCloud and even to another iPhone as long as you get text messages off iphone onto computer. However, if you want to transfer text messages from iPhone to iPhone while still keep those sms in new iPhone Messages, you can choose iPhone sms backup and restore. 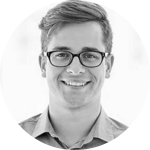 Using DearMob iPhone Manager to backup text messages from iPhone to computer/Mac makes the whole process faster and safer than any other ways. No jailbreak, without iTunes, you can quickily and safely export SMS, download text messages and restore SMS. Just get DearMob iPhone Manager now!